Elizabeth Gilbert’s Big Magic: Creative Living Beyond Fear, reviewed. 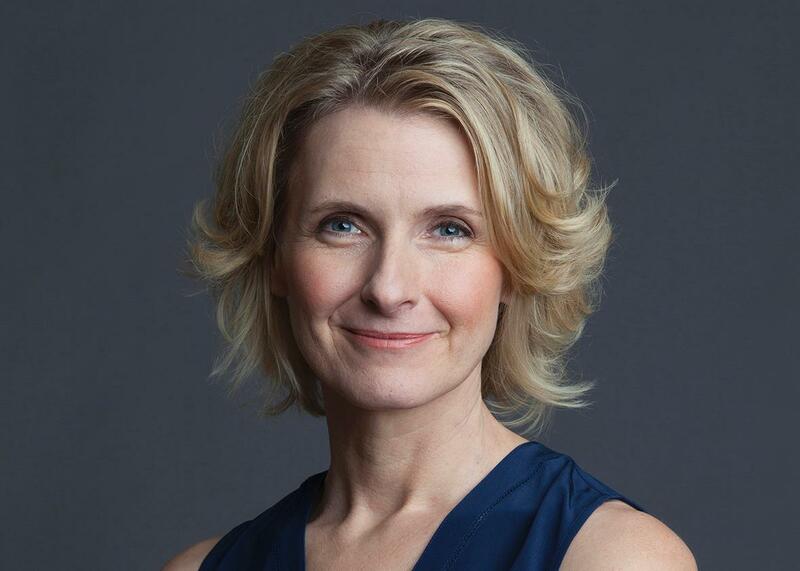 How Elizabeth Gilbert evolved from magazine writer to self-help guru. Elizabeth Gilbert, author of Eat Pray Love and now Big Magic. A story that also begat a movie, albeit not one with Julia Roberts, the piece describes Gilbert’s early-20s stint tending bar at a dive in the East Village. “I was to lure people into that place, keep them there as long as I could and make damn sure they came back the next week,” she writes. In effect, the job’s mandate was to make customers fall in love with their bartender. Gilbert was a quick study. She worked up her different routines—she could be the sympathetic ear, the ball-busting wit, the ’90s Mae West—and learned to determine which a given customer required. “I wasn’t the prettiest bartender at the Coyote Ugly Saloon, but I was damn sure the best talker,” she writes. “I wasn’t the belle of the ball; I was the bouncing ball. You all looked to me.” The “you” she addresses throughout the piece is her barfly target, but it’s also her reader. Gilbert started her career bartending, waiting tables, and working as a cowgirl trail cook before becoming a journalist. Early on, writing for magazines like GQ and Spin subsidized her fiction. The short story collection Pilgrims, her first book, came out in 1997; her first novel, Stern Men, followed in 2000. The Last American Man, a work of reporting that was a finalist for the National Book Award, came out in 2002. And then, in 2006, she published Eat, Pray, Love. In her new book, Big Magic: A Guide to Creative Living Beyond Fear, Gilbert describes her motley post-college jobs as a chance to gather material for her fiction. But they also taught her how to chat up anyone, and this is the ability that made Eat, Pray, Love such a massive success. Throughout her wish-fulfillment spiritual travelogue, Gilbert displays an almost magical tendency to acquire new friends. And, more importantly—freed from the demands of creating fictional characters or conveying reporting—she can unleash that same charm nonstop upon the reader. The premise of a messily broken heart cured through exotic travel has the alchemy of being both “relatable” and “aspirational”; her style is chatty, smart, warm, and light. Over the course of a 300-page book, she sustains the rhetorical energy of a magazine writer hoping to jolly half-attentive airport readers into following her story past the jump. Surely reading about the stuff some stranger saw while meditating ought to be approximately as appealing as hearing about that stranger’s dreams, yet Gilbert takes the most perilously self-indulgent of topics (meals eaten, yoga done, the niceness of a new boyfriend) and makes them engaging. After Eat, Pray, Love, Gilbert had a multitude of fans who wanted to befriend her or be her or follow her, and so her subsequent work has found her grappling with the question of what to write when charm has succeeded maybe too well. Committed, her 2010 memoir interwoven with a history of marriage, found her politely declining to be paralyzed by high expectations—it was a focused, personal attempt to confront the aftermath of her own happy ending. The Signature of All Things, a big novel about a 19th-century female botanist, was a reminder of the pre-Oprah career she’d had as a well-regarded fiction writer. The book’s six chapters—“Courage,” “Enchantment,” “Permission,” “Persistence,” “Trust,” “Divinity”—each represent one of Gilbert’s precepts for creative living. The distinctions among them sometimes blur: The imperative to work with “stubborn gladness” seems like it could be a sign of persistence or enchantment, but it’s introduced in “Courage” and discussed at greater length in “Trust.” Bite-sized subsections make up each chapter, a collection of pep talks (“Lighten Up”), personal anecdotes (“An Idea Grows”), and illustrative digressions (“Werner Herzog Chimes In”) that all deliver Gilbert’s blend of energetic optimism and energetic practicality. The effect is not quite padded but it is sort of puffy—pages worth of exhortation held aloft by constant motion and wide line spacing. Despite such whimsy, most of the advice is matter-of-fact. Creativity becomes both magical—big magical—and somewhat prosaic. It’s better to just get things done than to try to make them perfect, Gilbert writes. Stop worrying so much about what other people think; they’re all too busy thinking about themselves to think about you. Don’t quit your day job. Don’t complain. Sit back down and do the work. If you set aside her sweeping words of encouragement and her quasi-divine take on inspiration, and you are left with boot-strappy practicality. Part of what animated Eat, Pray, Love was Gilbert’s frankly high-achieving approach to the project of pleasure—the antsy ambition that prevented her from hanging out indefinitely on a beach in Bali. Because she’s a writer, this energy takes the form of unflagging curiosity, extensive research, and the interpersonal maneuvering required to get people to talk to her and listen to her. But it’s not hard to sense an echo here of the Yankee industriousness that Big Magic describes her back-to-the-land farmer parents as possessing. Likewise Eustace Conway, the wilderness survivalist she depicted in The Last American Man, tanning his own buckskin clothes in Appalachia; or, for that matter, the heroine of her first novel, Stern Men, whose great triumph is starting a cooperative organization for Maine lobster fisherman. Gilbert’s signature characters (“Elizabeth Gilbert” included) are hard workers with the zeal and resourcefulness to build successful, unconventional lives. And creativity, as she portrays it, is basically the pursuit of happiness through work. Gilbert presents “creative living” as a conduit for everyday art-making, but the phrase also suggests one’s own life as a creation. The labor she assigns to the character Elizabeth Gilbert is writing, yes, but more importantly self-improvement—whether that means making herself more open to pleasure, more loving and more loved, or more creative. The life she has created for herself is remarkable, as is the skill with which she presents it. Big Magic is self-help that’s less about solving any particular problem than about embracing the belief that something better is out there. This is not a bad description of Gilbert’s own style. Perhaps the real lesson of Big Magic is not that you don’t have to be a bestselling author to be creative—it’s that you don’t have conquer a frontier to embody American enterprise. And while no one heads west anymore to look for gold in the wilderness, the buried treasure of personal fulfillment still exerts a powerful pull. Gilbert comes bearing reports from a new world where untold splendors lie waiting for those bold and hard-working enough to claim them. What’s unclear is how many could successfully follow on her trail. Big Magic: Creative Living Beyond Fear, Riverhead Books.